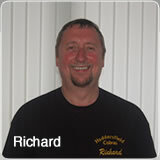 Hello, and welcome to the Huddersfield Cobras Freestyle Karate Club web site. Cobras have been around since 1999: we are a small family club, and have produced many success stories around the Huddersfield and Holmfirth areas. Here at Huddersfield Cobras we try to make learning freestyle karate fun. We take children as young as four, and have adults classes for the not so young. The usual progression is open to all who join us: details can be found on the belt progression page. Classes are held for each category at various sites within the region and are run by the very competent Richard,with assistance from daughter Bethany; sons Jason, Luke and Adam; and family friend Charlie. Check out the Rogues Gallery! At Huddersfield Cobras, we not only teach the techniques of freestyle karate but also the discipline and respect associated with it. We teach the children the Cobra Creed and The Principles of Cobras Karate. Administration for Huddersfield Cobras is in the capable hands of Adele: answering parents and members questions, and communicating important information. 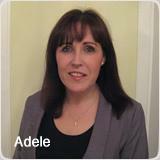 Adele can often be found at the classes and at the telephone above. Should you have any queries or comments, feel free to tell us about it and let us know. Note: ALL OFFERS OF FREE CLASSES ARE FOR RECRUITING AND SO APPLY TO NEW STUDENTS ONLY.